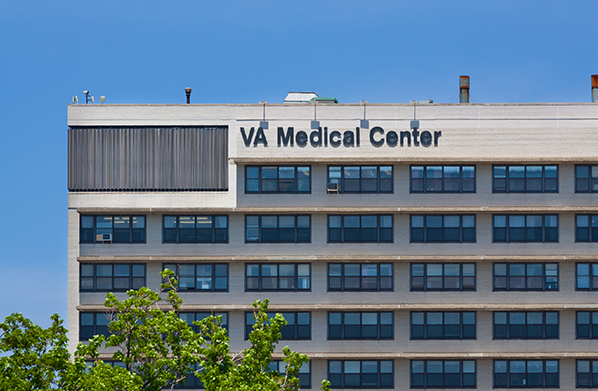 The experience for veterans seeking medical care continues to be disappointing and life threatening in some instances because the Department of Veterans Affairs fails to reform its processes and culture. Despite years of criticism, calls for reform, and leadership transition at the top, things are going in the wrong direction at the VA.. According to the latest data, just over half a million veterans (506,000) waited more than 30 days to be seen at a medical facility –a 10,000-person increase in just the past two weeks and 23,000-increase in one month. Among this number, over 30,000 waited over four months for care, nearly 50,000 waited between three to four months, over 130,000 waited two to three months, and nearly 300,000 veterans will not see a doctor for one to two months. It’s not uncommon for customers to schedule medical appointments one to three months out especially if they are seeing specialists, but when these are veterans who may be in need of immediate care, two months can be the difference between a light infection and a full blown disease. Unresolved minor health issues can become serious. “This news is unwelcome, but not unexpected,” Rep. Jeff Miller (R., Fla.), chairman of the House Committee on Veterans’ Affairs, told the Washington Free Beacon. “Quite frankly, it is illogical to think the department’s performance and veterans’ experiences with the agency will ever significantly improve as long as VA routinely tolerates egregious behavior among employees such as armed robbery participation and wait-time manipulation. These new numbers come after flippant and controversial remarks by VA Secretary Robert McDonald who compared wait times at the VA to lines at Disney theme parks. He suggested that wait times are not a valid measure of the experience veterans receive at agency hospitals. McDonald is quite wrong. While wait times shouldn’t be the only metric, they are a valid measure of how he and those under him are serving the needs of our former warriors. “I think Secretary McDonald has done a terrific job," the president said. "Since there's only eight months left in my administration, he's got all the way until then to run through the tape." … He said his administration has made steady progress in modernizing the VA and providing veterans with more timely health care. Reinventing the system would derail that progress. "If you look at, for example, VA health care, there have been challenges getting people into the system. Once they are in, they are extremely satisfied and the quality of care is very high…"
… "It's a big ocean liner, and on any given day, given how far-flung the agency is, we're still seeing problems crop up that we have to correct. Challenges getting people into the system? President Obama makes it sound as if these are just clerical or data entry problems, not deliberate manipulation of time entry and appointments and reporting to cover up both management problems and problems with delivery of care. We can’t expect changes at the VA if the people who lead it (and those who put them in charge) don’t think the problems with the VA are high priority issues to be addressed.